If images aren’t an automatic part of every single post your create for social media, you’re missing out. Facebook alone says images generate 65% more engagement than using just words, and it’s not even the most visual platform. You really do need an image for every post. But we get it. Creating quality, professional images is hard enough. But making sure those images still look good on all your networks? That’s a real time-eater. Each platform has its own preference for file types and sizes, making streamlining your marketing efforts seem impossible. Don’t worry. We have your back. 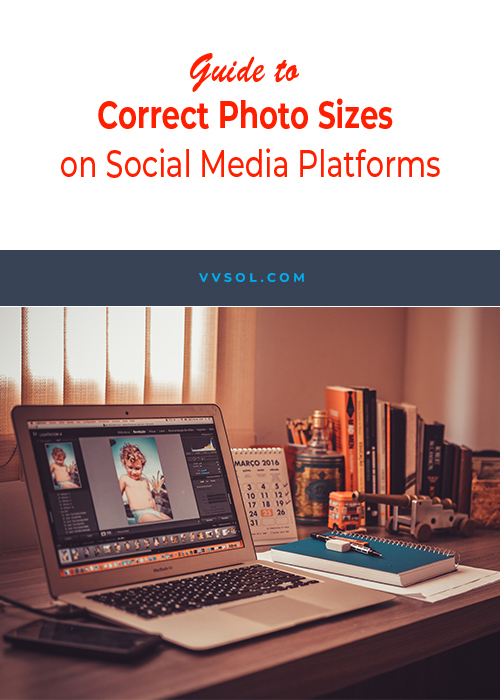 Here’s a quick guide to optimizing your photos and images for some of the most popular social networks. Profile Image: 180 x 180 pixels (px), but will appear as 160 x 160. Thumbnail will be 32 x 32. Cover Image: 828 x 315 px. A JPG file that’s under 100kb is recommended. Shared Image: 1200 x 630 px. These images will appear with slightly different sizes depending on whether the user views them from their feed or clicks on the image itself. Profile Photo: 400 x 400 px, but will display at 200 x 200. Maximum file size is set at 100 kb, and only JPG, GIF, and PNG are accepted. Profile Image: 400 x 400 px, although you can upload up to 2000 x 2000 and a minimum of 200 x 200. Accepts only JPG, GIF, of PNG files 10mb or smaller. Background Image: between 1400 x 425 to 4000 x 4000. Maximum file size of 4 mb. Standard Logo: 400 x 400 px, maximum of 4 mb. Square Logo: 60 x 60 px, maximum size of 2 mb. Business Banner Image: 646 x 220 px minimum, with a maximum file size of 2 mb. Career Cover Photo/Hero Shot: 974 x 330 px minimum. Maximum file size of 2 mb. Profile Image: 165 x 165 px. Will appear this way on your home page, but as 32 x 32 everywhere else. Maximum file size of 10 mb. Board Display: 222 x 150 px. This is how large thumbnails will appear; small thumbnails will be 55 x 55. Pinned Images: These will be displayed at a width of 238 pixels; the height will vary based on the pinned image itself. When expanded, these images will display at a minimum width of 600 pixels. Posted Photos: 1080 x 1080 px. Instagram will scale them down considerably, but starting with this size is ideal. Images will appear as 510 x 510 in a user’s feed, 612 x 612 when fully displayed, and from 204 x 204 to 409 x 409 in headers. Need help getting your images to display beautifully on your social networks? Why not let Vivid visual Solutions, the premier creative agency in Southfield, handle it for you? We offer both social media training and social media management, so no matter how much time you have we can help. Contact us today to get started!